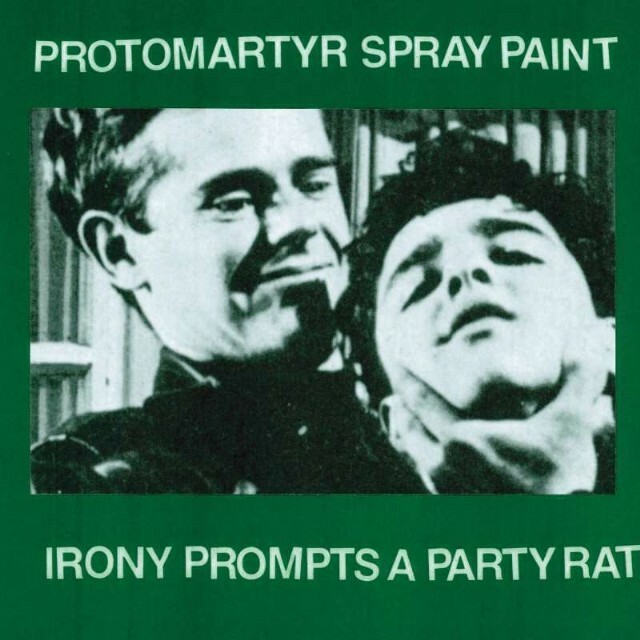 When it comes to collaborations neither Spray Paint nor Protormartyr are particularly shy. The two bands toured together back in 2014 when they came up with the idea to collaborate in a very original way, to record instrumentals and have the other band sing over them. Irony Prompts a Party Rat is exactly that plan coming to life, and it will be out August 17th, 2018 via Monofonus Press. Corinthian Leather is comprised of the vocal of Protomartyr’s Joe Casey and Spray Paint’s music. For Spray Paint this marks the third such collaboration, after one with Dan Melchior for the Contributors LP, and another with Ben Mackie from CUNTZ.